It is the time when we leave behind our past, groom our memories, cultivate the best of it and store the most vivid one somewhere in the vast archive of our brain. The good, the bad or the worst, everything that happened there in 2015 was special; not only because we get to learn something from it, but we do know exactly what we have there for us. Nothing in this world can change what has happened in 2015, and what it had to offer, especially in the smartphone industry. From incredible Nexus (6P and 5X) devices, LG G4, Samsung Galaxy S6 (which is somewhere between the line), Apple iPhone 6S (Plus) to Amazon Fire; every one of them contributed in the composition of smartphone’s advancement and disappointments in 2015. With my belly still full of festive foods, I am here to list down 5 worst smartphones of 2015 that attracted some buzz over the internet but surprisingly failed to actually deliver what they promised. HTC One Series (Especially 2013 Lineup) introduced itself as a new hope for the smartphone industry, and an escape from the boring rectangular bar-like design offered by iPhone and Samsung flagships. The HTC One M7 was an immediate hit, praised by millions of users. The trend was passed on to the next iteration of the smartphone (M8), which was another success. However, the company soon witnessed a downfall in their sales chart of HTC One M9 in 2015. So, where they went wrong? Most of the smartphones of 2015 were widely affected by the bug in the Qualcomm Snapdragon 810, which was responsible for uncomfortably overheating the devices. It would further throttle the processing power once the temperature rises, and would continue to do so until the temperature would fall down again. Coupled with poor battery performance, surprisingly drastic rear UltraPixel Camera, slow charging, random restarts and other software bugs; HTC One M9 was one of the worst smartphones of 2015. 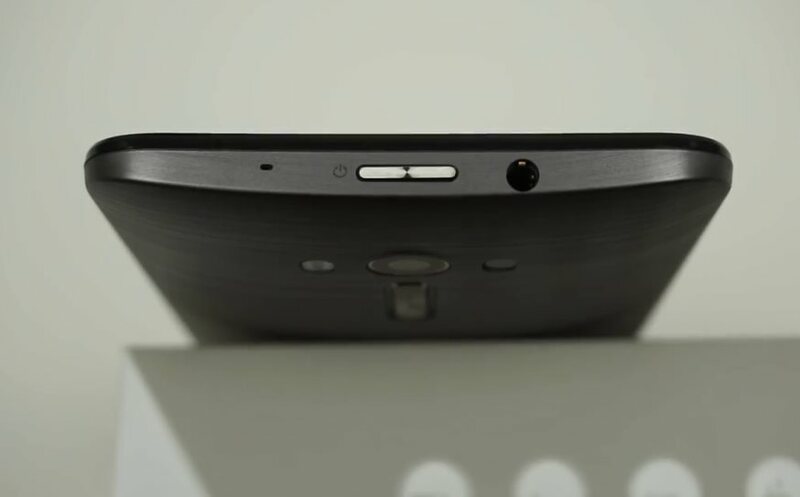 The Original LG G Flex promised us a curved smartphone with some amazing technology. The year 2013 was one of the most important milestones in Tech history, giving us a glimpse of future tech as we see them today. LG, Samsung and other big names jumped into the experiments to bend the smartphone displays to the extent that we could fold/unfold it like a newspaper; a vision which still seems too far away to be fetched. LG G Flex, however, came up with a curved display, which was unique and new innovation at the time. There’s no surprise that this piece of tech was hugely adapted, and became a topic of buzz. LG G Flex 2 was supposed to be the most innovative smartphone of the year, with some top notch specifications and technology that deemed as a non-achievable future tech. However, this phone turned out to be just an upgrade from the previous version which was whipped by Snapdragon 810’s performance and heating issues. LG did try to bring some new tech onboard; such as gimmick self-heal back cover, which didn’t work as expected. At the end owners complained that they had to replace the back cover just as they would usually do on other smartphones once its surface has unbearable scratches. Some even claimed that the lack of removable battery and fingerprint scanner actually made this phone worse than the original. Blackberry Passport lives with the motto of “Work Wide,” that being said, the smartphone is specially designed with enterprise workflow in the mind. The wide screen surprisingly makes it very easy to read emails, e-books and surf through the internet (especially heavy websites as desktop mode). The high-end specifications that offer great performance, coupled with 3,450 mAh battery that lasts for an entire day, makes it an ideal business companion. However, things get little outside of the comfort zone if you try to use it for another purpose, such as watching videos on the go. It is very subjective opinion, but I hardly believe that we have moved past the physical keyboard adaptation. It was actually very trendy and advantageous over the resistive touch screen keyboards in the past, but capacitive display, SwiftKey gesture, and the bigger screen has left those days into the dust. The fact that this smartphone weighs 194g, which makes it really uncomfortable to operate with a single hand when coupled with the wide display. All these advantages and radical issues make ‘Blackberry Passport’ best and worst blackberry smartphone of 2015 at the same time. Asus Zenfone 2 Laser has some of the worst ‘specification’ and ‘value for money’ ratios than any other smartphone that was released last year. Asus tend to confuse the consumers with their iterative naming style, a trend that has been followed by many top brands, such as Samsung Galaxy series, HTC One Series, Sony Z series, LG G series and so on. There is only one way to eliminate the confusion, i.e. looking up the information about any specific smartphone based on their model number before purchase. We reviewed the Asus Zenfone 2 Laser (ZE550KL) last year, and our first impression concluded with this device sorted out as ‘0’ (zero) value for money. Launched in September 2015, the Amazon Fire was Amazon’s attempt to offer a successive version of their budget tablet lineup. These tablets are highly modified to provide a specific environment for eBook readers, and, in turn, builds an exclusive user base on this idea. The Tablet has mediocre specifications which result in series of performance issues and bugs. It is true that you can’t expect much from an eBook reading device that costs only $50 but, shouldn’t it, at least, iron out minor bugs? The design feels cheap. Performance is slow if many apps are open in the background and when downloading. The display has a low resolution and touchscreen response can be sluggish. Gaming performance for large games is slow and the graphics can experience frame rate drops. The words got out that there is no way these bugs are worth being included in our already cluttered life, and, as a result, consumers started shifting to next best thing. Amazon got desperate to keep up their annual sales report, which resulted in them to re-launch these tablets with ‘Buy 5 get 1 free’ pack. The phone is not overpriced, but it certainly is not worth the money. Did I miss something? List down your own list of 5 worst smartphones of 2015 in comments below.